I've finished the little blue cat pouch and I think it is going to be an awesome Christmas gift! There were a couple of really tricky parts to complete. Putting in the zip with the lining was very difficult and I don't think I'll do a curved zip like this again. 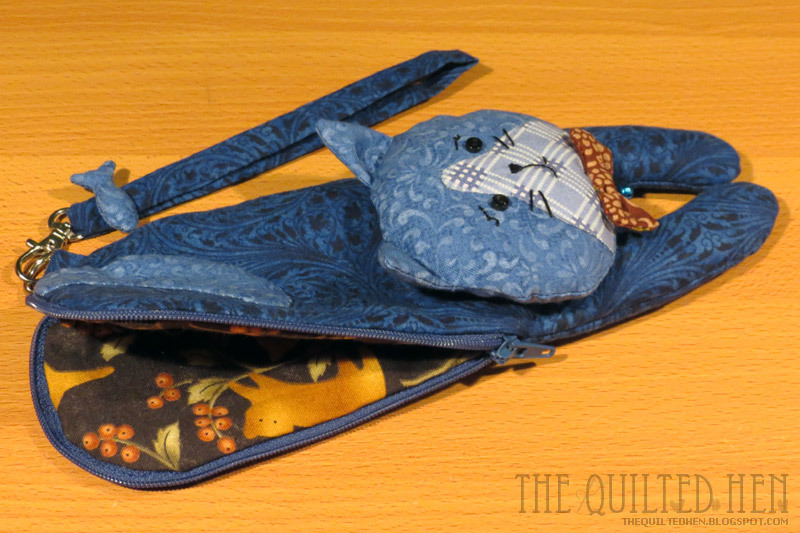 I've done this technique before with straight zips - such as on the chicken purse - but this was a whole new layer of difficulty because the zip is not very flexible and the stitching needs to be quite close and precise. I took my time and got there with it despite some slight wonkiness. 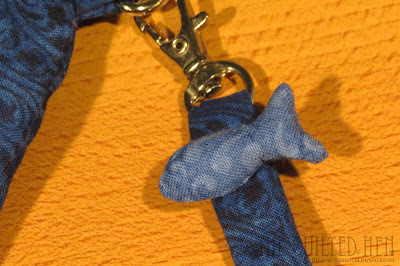 The little fish on the strap was also really difficult as tiny things usually are. I think I spent as much time trying to make the little fish as I did adding the tail and head to the pouch base tonight. 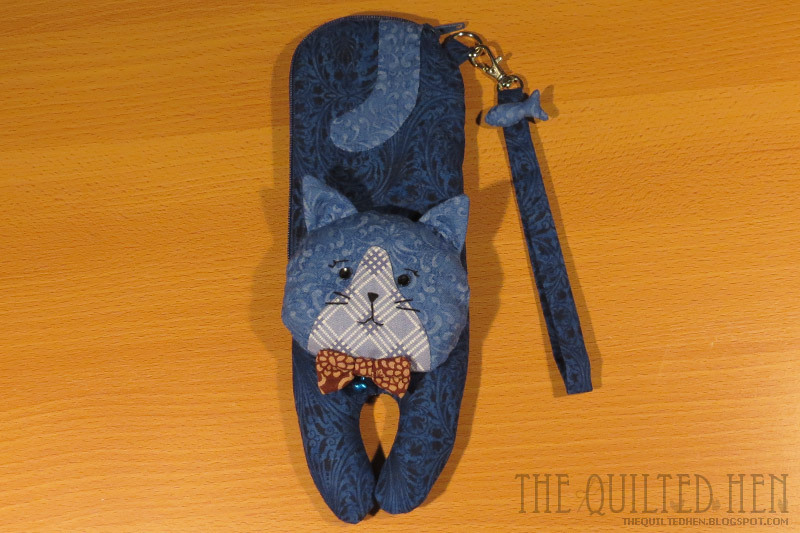 I planned on appliqueing the tail before sewing in the zip but completely forgot so I carefully sewed it to only the top layer of the pouch tonight. Then before sewing the opening in the lining I lightly stuffed the paws to give them extra body and squish. The lining is actually squared off and ends under the head. Oh yes, I see that zipper is quite curved! Great job! 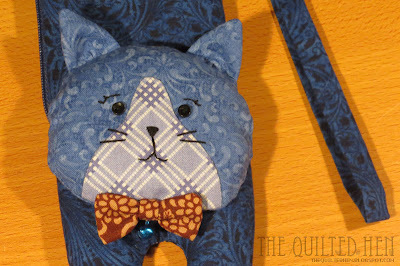 The whole thing is very cute, and I see more cute fabric in the lining. I hope your giftees aren't reading the blog too! I know my Nanna definitely isn't because she doesn't have internet! I don't think any of my other family check out my blog either. Neither do mine. My mom's comment was "people will read anything." Always supportive!